When I first heard about ISRC codes and the importance of its implementation for the owners of recordings, I was excited to know that a system was in place to allow artists to track sales and radio playback. The confusing mass of information that I found led me to do a bit of research to see just how this system works and how it can be best used to one's advantage. The attempt here is to help save you some of your valuable time by providing the information you need to know in order get the most out of the ISRC system. The purpose of this page is to focus first on the 'need to know' information. The articles that follow will expand on that overview with the details that are necessary for a deeper understanding of how all this works. With this overview in mind, you should know what to expect and how to go about the process of acquiring and using your ISRCs. The system was designed as a way of uniquely identifying recordings. Each recording or version of a recording must be assigned a unique code. Each code is a unique 12 digit number. Codes can be obtained from 3 basic sources, directly from the RIAA, from an ISRC Manager or from a music service provider. The code must be burned into the recording. It is your responsibility to provide the code information when distributing your recordings. The code can be used to track sales and radio station play. The code can be used by performing rights societies to track usage for paying performance royalties. There is much more information that is necessary to know before you can begin to utilize this system, but that was a basic overview. The next step will get us a little deeper into the process. From there, you can use the links at the bottom of this page to get more detailed information about each step if you desire. Determine whether you need ISRC codes. Learn how to use them to track sales and radio play. Step one: Do I need ISRC codes for my recordings? ISRC codes are not necessary for everyone. The only recordings that need ISRC codes are ones that will be released for public consumption. If you plan to distribute, sell, or use your recordings for radio play and promotional purposes, then the ISRC system will help you to track the sales and radio play of your recordings. The codes are only necessary for the final release version of your song. If the recording is primarily for personal use like a demo, rehearsal recording or a rough mix then getting a code will not be necessary. ISRCs are designed for tracking publicly released recordings. The technical definition of a recording is the final stereo, mono or surround release version of the song, not the multitrack recording. Only the final mixes (recordings) of a song would require the use of a code. One song may have many recordings associated with it. For example: the same song may have a mix for the CD release, a shortened version for radio play, a remix version, an unplugged version, an a-cappella version, an instrumental version, etc.. Each version of the song will require its own unique code so that the sales, radio play and usage can be tracked individually. A simple way to look at this is to ask one simple question, Is this being released for public consumption? If the answer is yes, then an ISRC code will be a helpful resource. Step 2: How do I acquire ISRCs for my recordings? ISRC codes can be purchased by 3 different methods. The number of recordings you need codes for and the amount of responsibility you are willing to take on for their management will determine what is the best method for you. As stated earlier, codes can be obtained from 3 basic sources: directly from the RIAA, from an ISRC Manager or from a music service provider. Method 1: Purchase codes directly from your national ISRC Agency. In the United States that is the RIAA . For other countries click here . For $75 you can get 100,000 unique codes that can be assigned to your sound recordings. This can be a good choice for a music producer or record label who will need a large quantity of codes. Keep in mind that signing up to become an ISRC Registrant also has the responsibilities of detailed record keeping and reporting to the RIAA the codes you have assigned. Starting from the date you become an approved Registrant by the RIAA, you will be given the ability to assign ISRCs up until September 1st of each year. The ability to assign codes to your recordings will then expire and you will need to pay an additional fee for the right to continue assigning codes even if you have not used your allotment. Method 2: Find an ISRC manager to assign codes for you. This may be a better choice for a songwriter or artist that does not want the responsibility of record keeping or reporting and has a limited amount of material that is produced on a yearly basis. 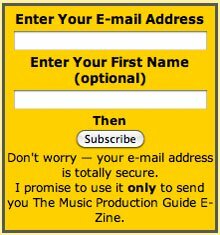 music-production-guide.com provides ISRC management services, click here for more information. Otherwise, here is a list of ISRC Managers in the US provided by the RIAA. The benefit of using an ISRC manager is that they are responsible for keeping an accurate record of your codes. Once the codes are assigned, they are yours forever. If you are not good at keeping records and do not require the need for a large number of codes, this may be the best solution for you. Purchase codes only as you need them and avoid all the additional paperwork. Method 3: Get codes through a mastering facility or distribution company. Many mastering facilities and digital music distribution companies provide ISRC codes as a courtesy for purchasing their services. If you plan to use the services of a company that offers 'free' ISRCs, then take advantage of the offer. Although many websites will tell you that ISRCs are free, remember that you will only get them if you buy the service they offer. ISRCs used to be a free service offered by the RIAA. In 2009, however, the RIAA started charging a fee to help pay for the administrative costs of maintaining the ISRC system. Somewhere down the line, somebody has to pay for them. Because the fees for purchasing them are relatively small for a big company, many music service providers will provide them as an incentive get you to buy their services. When you purchase codes through a Manager (Method 2), you are paying them to assign, maintain a record of, and report, your codes to the RIAA. 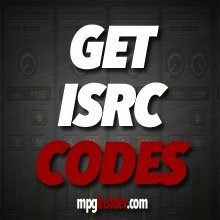 music-production-guide.com also provides mastering services including the application of ISRC codes and their management. It is important to remember that the codes must be electronically burned into the files you are using for distribution. If you have a CD release this must be done in the mastering process before the discs are pressed. For internet release, the code must be added to your ID3 tag to be recognized. This is usually done by the distribution company that you hire and you will be required to supply the ISRC information when submitting your recordings for electronic distribution. Step 3: How do I use the codes to track sales and radio play? A sale occurs when somebody pays money to purchase or listen to your recordings. The sale can be in physical form such as the purchase of a CD or in virtual form as a download through iTunes or some other music outlet. Physical sales are generally tracked through an agency like Nielsen's Soundscan. If you register your recordings there they will be registered and tracked in their database. You may also want to consider getting a UPC/EAN (Link Here) code before registering your songs with SoundScan. Internet Sales tracking is very easy and should be provided when you sign up for a digital distribution service like CD Baby . Most of these companies will provide ISRC codes when you sign up for their services. You will be required to enter in the ISRC code when registering your songs. The rest should be taken care of by the distribution service. There are 2 types of performance royalties. They are divided into physical venues like terrestrial radio stations and music venues like clubs and bars, and 'virtual' ones like internet radio, satellite radio, and audio transmission on cable TV. Physical performance royalties are tracked by performing rights societies like ASCAP , BMI and SESAC . They collect royalties from venues that use music as a means to make money or enhance their ability to make money. This includes terrestrial radio stations, Music clubs, Bars, Stadiums etc… A venue that need to play music as a part of their business must pay for a license to do so. Those royalties are divided up and paid out to registered members. The internet and digital radio was the wild, wild west until SoundExchange came along and provided the same performing rights services, but for internet radio, Satellite radio and the playback of music on Cable TV. Becoming a member of SoundExchange is free and allows you collect performance royalties from around the world. I hope you found this information helpful. To find out more information about any of the topics discussed in this article, please click on the links below. You will find additional resources and information that may be helpful in understanding how to best make use of the ISRC system.